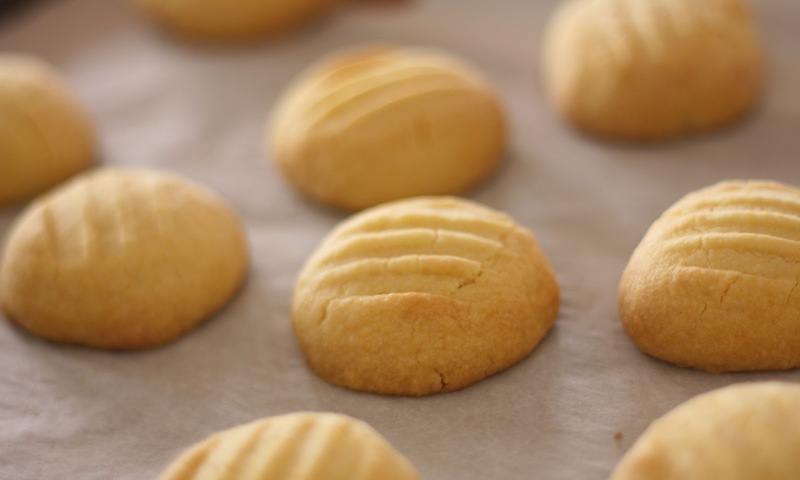 Custard Powder is the secret ingredient in these melt in the mouth shortbreads. These have been a favourite in our home for many years, and are quick to whip up for a special afternoon treat. With Sarah away, the baking was left to me this week, and it was nice to potter in the kitchen for a change. Preheat oven to 180 degree C (350 deg F). 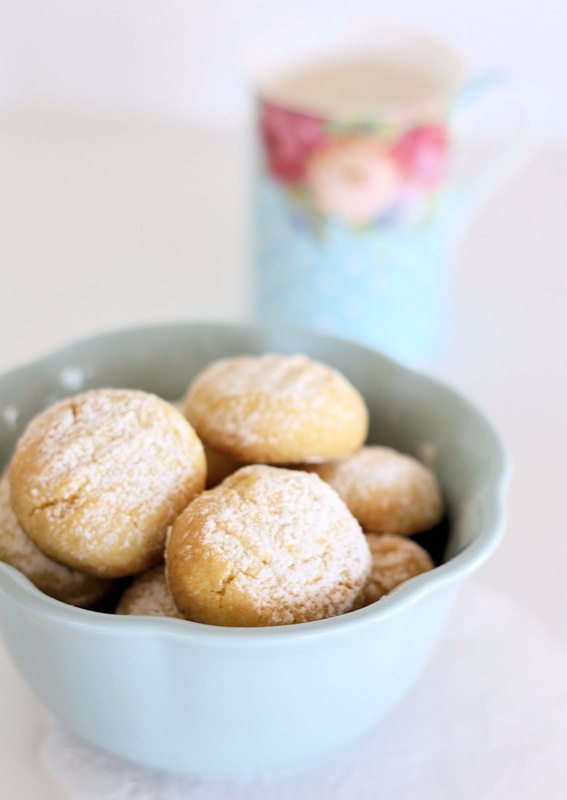 Use electric mixer to beat the butter, icing sugar, and vanilla essence in a medium mixing bowl until pale and creamy.Add the custard powder and flour to the butter mixture and use a large metal spoon to mix until well combined. Roll spoonfuls of the mixture into balls and place into baking tray lined with baking paper. Flatten the balls slightly with a fork. Bake in preheated oven for 12 minutes. Cool on tray and serve dusted with icing sugar. Yum, they look delish! One of my old time favourites and yet been a while since I’ve made them. Must put on my to-do list for this weekend. These look really yummy. I will have to convert grams. I am in the US. Yummy!!!! I LOVE these little cookies and TheManoftheHouse does too. I’ll always remember that YOU are the first one who introduced us to them — Thank You!!! I love shortbread. Yum. I’ve never heard of custard powder. Ooooh, they look scrumptious!! I made some custard creams I while ago- much like these except cut in a heart shape then sandwhiched together with a custardy mixture. Yummy. I’ll try to do. I think these are like the yo-yo’s I make, sandwiched together with a strawberry cream! Time to make some more! Sounds interesting BUT WHAT IS CUSTARD POWDER??? Yum! 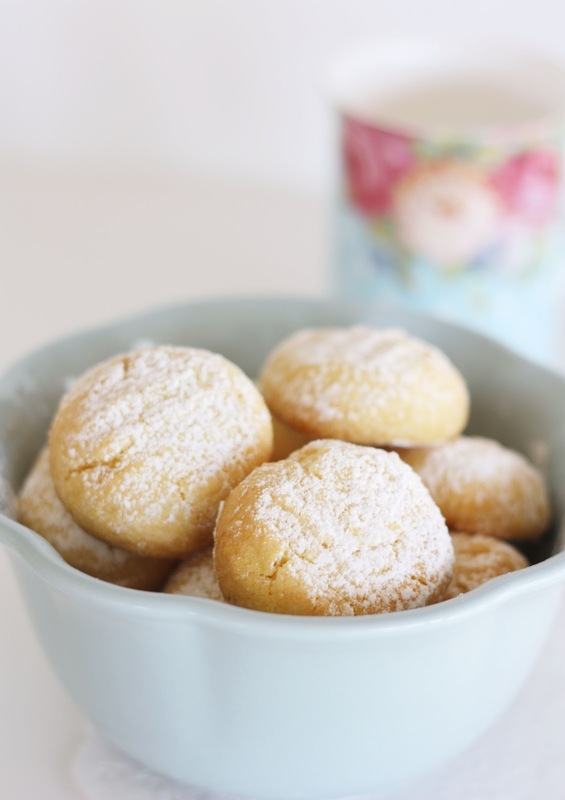 We have an Easter morning tea to go to and I have some custard powder sitting in my pantry at the moment so I will be whipping these up for that! Thanks so much for recipe – it will be nice to eat something on Easter that’s not chocolate! These cookies look delicious. The problem with baking, in my case anyway, is that I always eat most of the batch. It starts out with just one, then one or two with a cup of tea, then when I am passing them in the kitchen, etc. Isn’t that awful that I have no will power? My daughter and I made these last week and they are YUMMO! We joined them together with a simple icing to make yo-yos. Very impressed! Thanks for sharing the recipe. I would love to try these, I especially love the small size of the recipe. I cannot for the life of me figure out what Custard Powder is though? Is it the boxed powders used for jello or pudding? or is it something else? We do have a lot of international products here so I’m sure I could find it. Update: Publix shopping center carries a lot of International supplies and this was happily for me one of them! Can’t wait to make them this weekend. Just found custard powder today at the 99 Cent Only store…had never heard of it before, until this recipe! They’re just amazing….I made some yesterday and everyone loved these melt in mouth treats. Thanks for the recipe. I’m looking forward for some more.